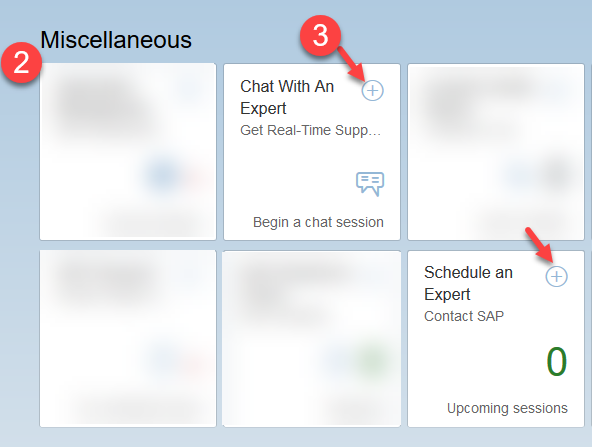 With Expert Chat and Schedule an Expert, SAP offers two live support channels to help you get answers to product-related questions even faster. Learn how easy you can access both channels in SAP ONE Support Launchpad. Expert Chat is SAP’s live chat function that connects you to SAP technical support experts, instantly. This service is best when you need immediate technical support. For an individual call, use SAP’s new live channel, Schedule an Expert, and book your one-on-one 30-minute Skype meeting three business days in advance. 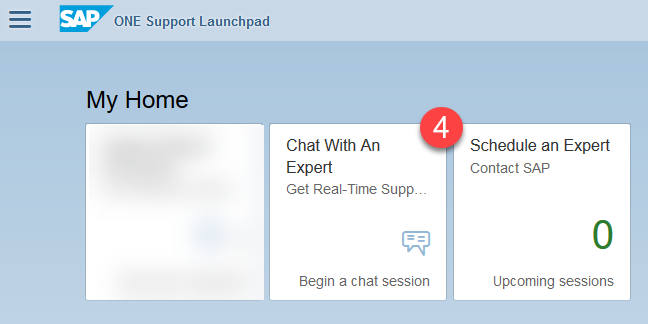 You can access Schedule an Expert and Expert Chat from SAP ONE Support Launchpad. Recently, new channel access points have been added to SAP ONE Support Launchpad. Read below for an overview of the several channel entry options. 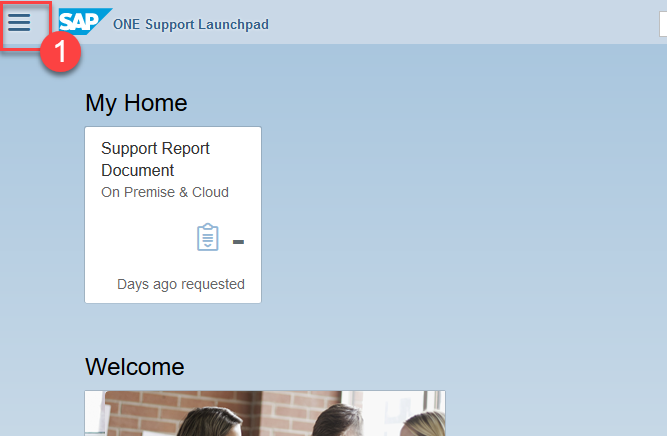 In SAP ONE Support Launchpad, click the “Contact Us”-button in the Launchpad’s footer bar. You will see an overview of channels. 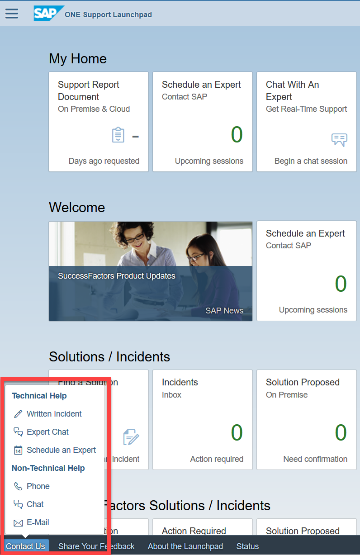 Under “Technical Help”, click “Expert Chat” or “Schedule an Expert” to contact SAP Support for your product-related, technical questions. „Contact Us“-menu in SAP ONE Support Launchpad‘s footer bar. 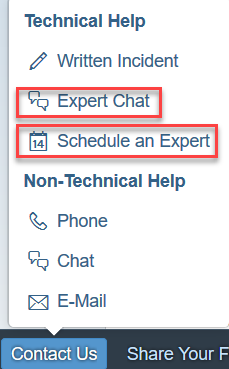 When you are in search for problem resolution and you carry out a search in SAP ONE Support Launchpad’s database using the search bar, click the “Schedule an Expert”- or “Expert Chat”-button in the upper area. You will be guided to the respective landing pages. Another option to access the two live channels is while you are going through the incident submission process. Instead of creating an incident, you can contact SAP Support immediately by using Expert Chat or book your appointment with an SAP engineer by using Schedule an Expert. 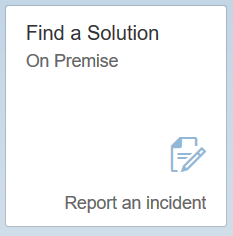 First, click on the “Find a Solution”-tile in SAP ONE Support Launchpad as you would create a normal incident. The new functionalities are built into the incident submission process. You will then find an enhanced user interface showing the two new live channels in the below area. Simply access the live channels from there. Both channels, Expert Chat and Schedule an Expert, are available for all support levels and connect you to the same SAP engineers that you would create an incident with – but provide quicker and more efficient issue resolution. You can use both services for no additional charge as an alternative to creating a normal incident.